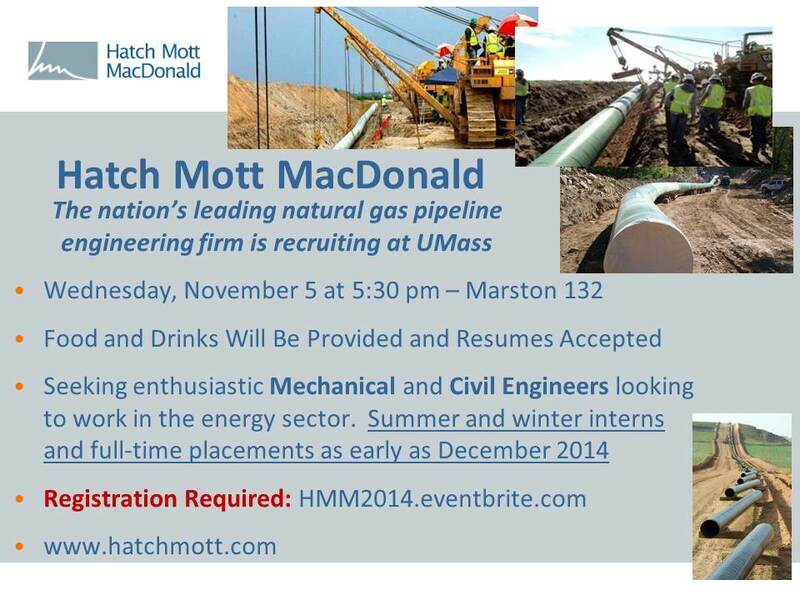 Mott MacDonald, the nation’s leading natural gas pipeline engineering firm is recruiting at UMass! Seeking enthusiastic Mechanical and Civil Engineers looking to work in the energy sector. Summer and winter interns and full-time placements as early as December 2014.